Our heroes, five men, all talented craftsmen who practice the detailed art form of tentmaking. 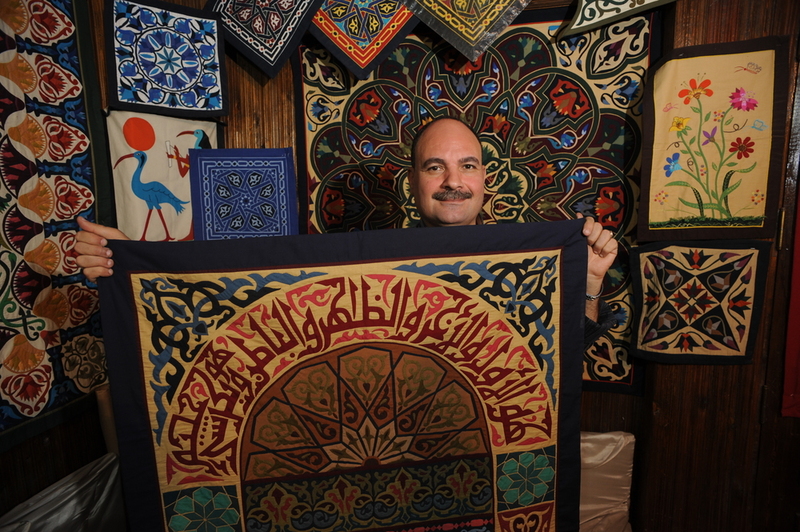 This is a uniquely Egyptian craft dating back to the Pharaohs which involves the hand-stitching of the interiors of tents, or in its more modern – and tourist-friendly – incarnation, wall-hangings and cushion covers. Hosam is quiet by nature yet often has a joke about what is happening around him. 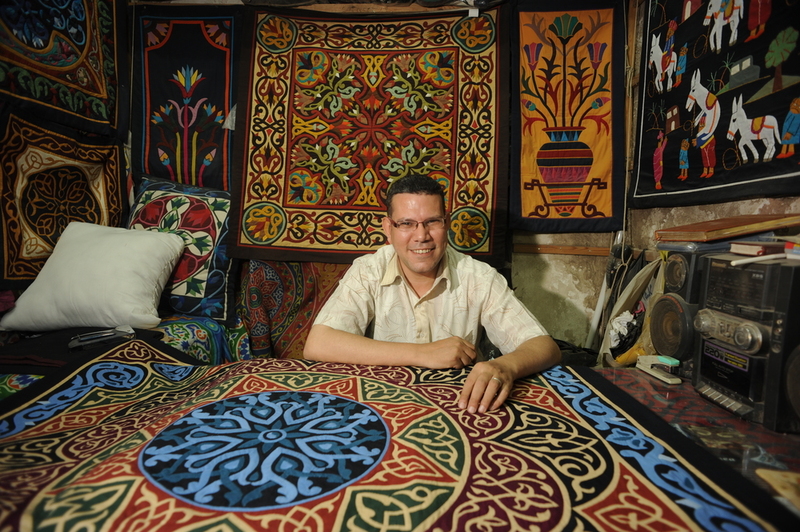 He has been stitching for almost 20 years having initially been taught by his older brother Ekramy. Now Hosam is the face of the El Farouk shop which is run by Ekramy and himself. Ekramy, Hosam's older brother, by day he is a Physical Education teacher and by night he manages the workshop hidden away in the back streets of Old Islamic Cairo. Ekramy's designs and use of colour are the pillars of El Farouk. Tarek has been in the street of the tentmakers for many years, however at one stage he left to study law. After completing his degree he was quickly back to the street as he realised his preference the traditional art of his family. 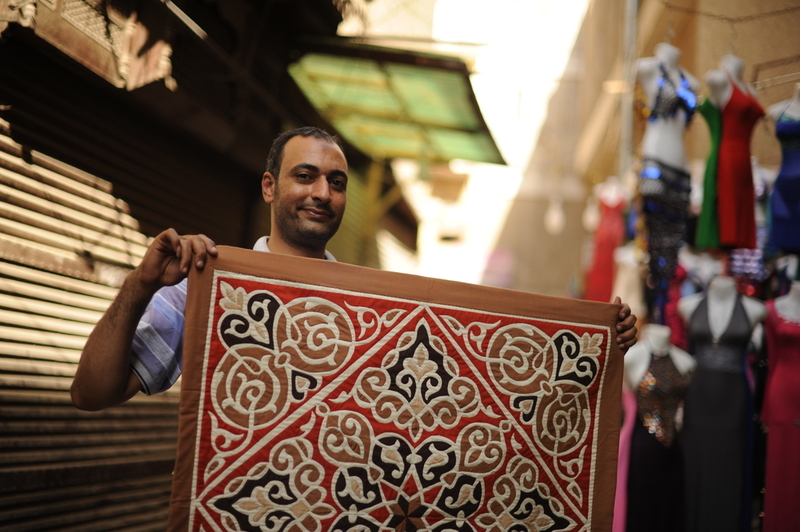 Hany is the grandson of a master stitcher who has grand ideas of what he wants to achieve as a stitcher himself. He has big shoes to fill but is working hard to make his own footsteps. Ahmed is the engine behind the machine. Not having trained as a Khiamiah, a tentmaker, but having built a close bond with all of them, Ahmed has become the go to man when things need to be organised or if foreigners need someone to speak to.